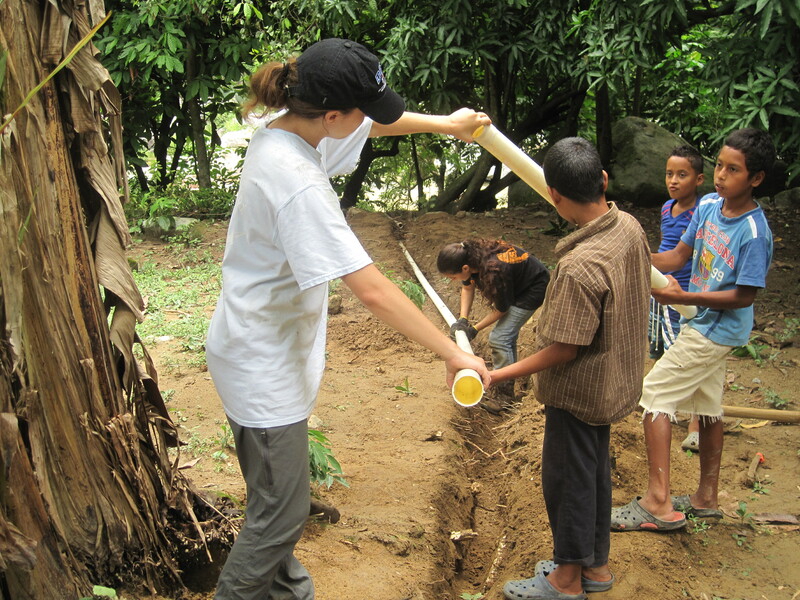 In 2015, DEID began a multi-year project to design and construct a potable water system and a community greywater system in the community of El Pital in Honduras. The community of El Pital is about an hour from the city of La Ceiba, Atlantida, on the northern coast of Honduras. The project in 2015 involved installing a piping network and vertical flow planted percolation beds alongside local residents for the treatment of greywater. Before the implementation, greywater from washing hands, bodies, dishes, and clothes would just sit in the streets or people’s backyards, creating a breeding ground for mosquitos and illness-causing bacteria. With help from Duke’s Project HEAL, DEID conducted community workshops educating those served by the project about the dangers of greywater and the methods of managing it. DEID has formed a partnership with the Un Mundo, a nonprofit international development organization whose staff is made up almost entirely of local Hondurans. Their mission is “to promote dignity, community, and self-sufficiency while facilitating access to health care, education, and livable wages in marginalized Honduran communities.” Additionally, DEID collaborated with students from Santa Clara University, who have worked with the community in the past, on the designs. This project also served as an assessment for a water distribution system to provide the entire community with cleaner, more reliable water. With the help of Un Mundo and SCU, DEID hopes to complete this project over the course of the next few years.